Finding a great new haircare product is never as easy as it seems. It is so easy to get confused looking at all the different brands and formulas. I admit I have tried many great hair products this last year and it's always fantastic when I can share another great product with you. 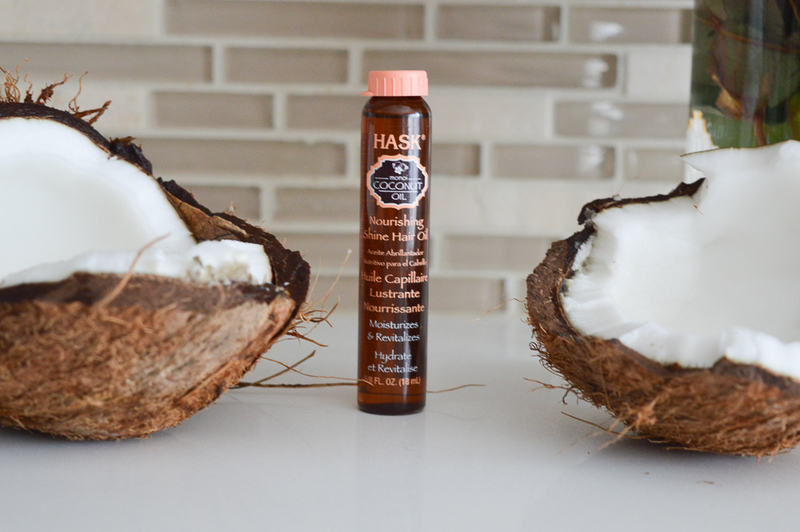 The Hask brand has recently released it's coconut oil hair care line. 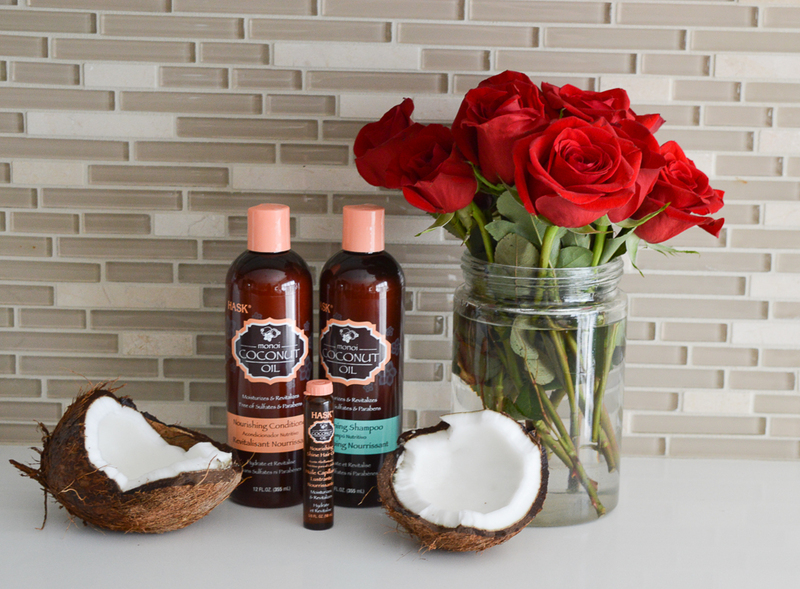 Coconut oil has been taking over the haircare world lately and the Hask products have a great line at an affordable price. 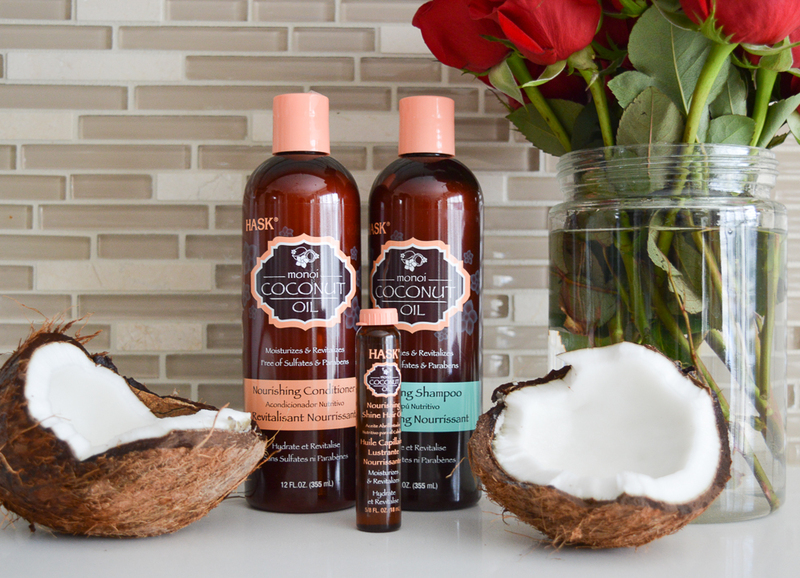 The Hask Monoi Coconut Oil Shampoo and Conditioner are both free of parabens and sulfates to give your hair a more natural clean. The first thing I noticed when using these products is the amazing smell. There is definitely a coconut smell but it's not overpowering and does not have a long lasting odour. To go along with the shampoo and conditioner Hask has a Shine Hair Oil. 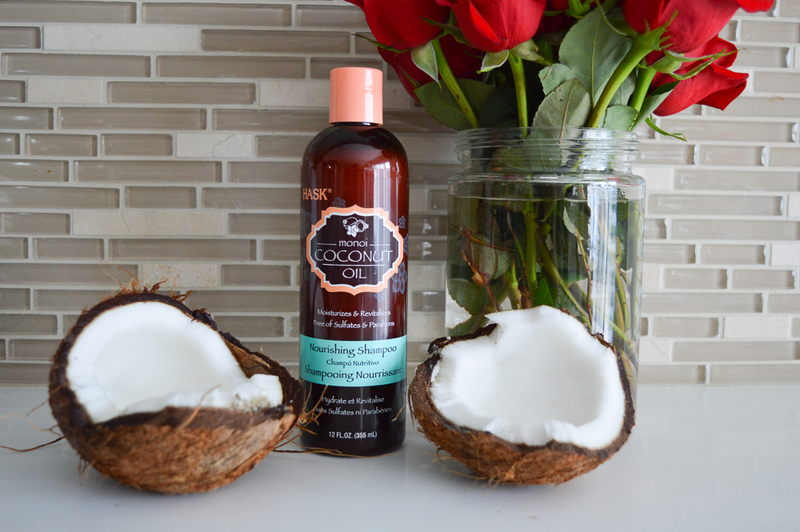 This is a very lightweight oil that add shine to the hair for a silky smooth finish. I love this hair oil, I use it mostly on my ends and I find my hair looks instantly smooth. Hint-stay away from using this product on your roots. The most surprising part of using the Coconut Oil Shampoo was that I did get a good lather with this product. Many products that are free of parabens and sulfates do not lather nicely on my hair and my hair never really feels clean. The Hask product delivers a thorough clean. 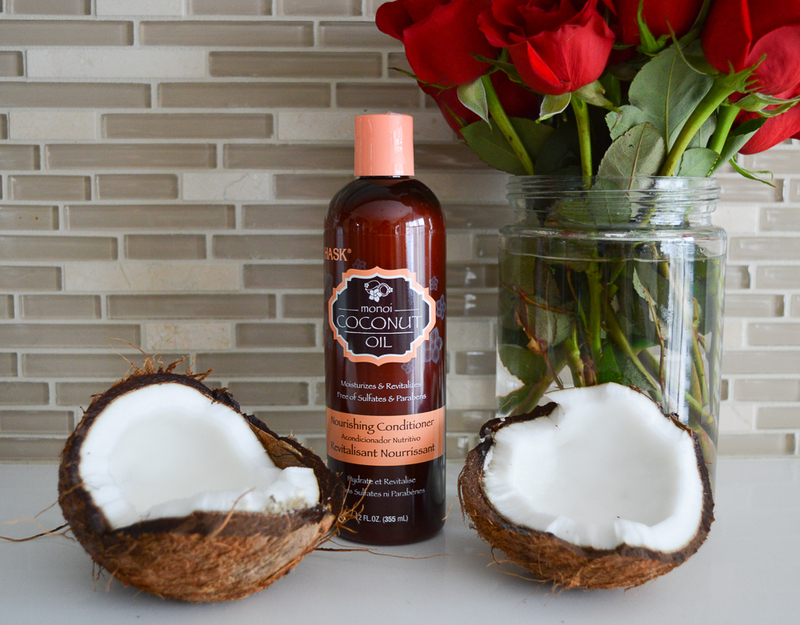 The Coconut Oil Conditioner smells just as fantastic as the shampoo and a little goes a long way with this product. My hair was very smooth and I found that I had a better blow dry after using this product. Each of the Hask Coconut Oil products are under $10 which is a total steal and they are amazing. You can find the Hask line at Wal-Mart, Rexall, Walgreens, Ulta, and many more locations.